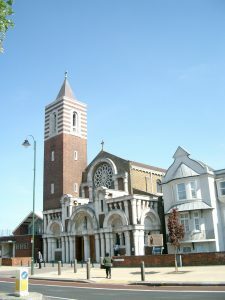 St. Boniface Catholic Church Tooting opened for worship in 1907 and is home to a large Parish Community in South West London with over 45 nationalities represented in our parish family. We are in the RC Archdiocese of Southwark. Holy Mass is celebrated daily - see Mass Times for details. Everyone is invited to the hall on Sundays after the 10:30am Mass for tea and coffee; for anyone new to the parish, you are very welcome to join in these coffee mornings and to meet the priests after Sunday Mass. Our Parish Primary School (St Boniface R.C. Primary School) is a vital part of our community. The parish has halls available for hire on weekends (See Hall Hire). See Latest Newsletter and Parish News. Parish Videos on YouTube. Please remember all those on our Parish Prayer List in your prayers. Those who are not sure of the parts & responses of the Mass, please make use of the ORDER OF MASS leaﬂet from the back of the Church. Please do not take home this card leaﬂet but please put it back in the holder for the next person. Thank you. 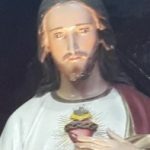 Be sure to take a newsletter from the Church at Sunday Mass, you can also subscribe to receive the newsletter by email or see our newsletter page. Recollection, Mass & Healing Prayers. Starting at 9.15am with MORNING PRAYER, adoration, devotions, talk, confessions, and a SPECIAL MASS at 11am followed by anointing of the sick and prayer over people. It is a wonderful opportunity to spend time in prayer and reﬂection. If you know anyone who is ill in your family or among friends please bring them with you. If anyone wishes to get married in the Church please see a priest first to begin the documentation process before you start any other preparation. Please note six months notice is usually required. To arrange for the Baptism of your child, please come to the parish open house and speak to one of the priests. There is a short preparation course which usually takes place on the last Monday of every month at 7.30pm in the Presbytery and a prerequisite for any christening. Baptisms usually take place at 3pm on the first and third Sundays of each month. If you or a family member are admitted to St George’s Hospital and would like to see a priest, please contact Fr Mark Higgins, the hospital chaplain on 020 8725 3069. His details are also on the front of the newsletter. In an emergency, please ask the ward staff to contact the priest on call. 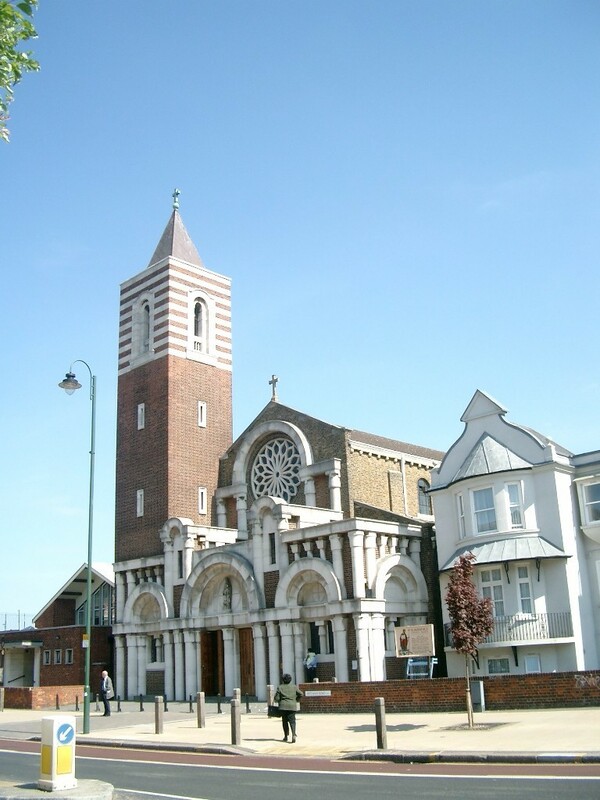 A Parish surgery is held on Friday evenings in the presbytery between 4:30pm – 6:00pm. This is an opportunity to see one of the priests about routine matters (such as form signing or arranging baptisms) or to have a private chat about any other matter. No appointment necessary. Please note: parish surgeries are not for viewing the hall. If you would like an appointment to view the hall please email secretary@stbonifacetooting.org.uk to arrange this. 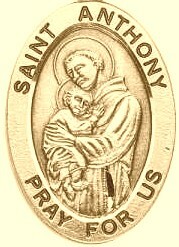 The Novena to St Anthony will now take place every Tuesday after 9.30am Mass. Please do not consume food & drink in the Church for both children & adults. The Parish is very happy that we have special places in the Church for people with pushchairs and prams. Please leave these spaces free for whom they were intended. We also thank all parents for bringing their children to the Church and being part of our family. If your children are getting restless, please take them to the Cry Chapel. Michael D’Souza, Marie D’Silva, Nilojan Mariyathas, Jill Hart, Bety Joyce, Tony Hardy, Esther Daley, Clifford Teteh, Norman Mendonca, Irene Mendonca, Julianna Hayfron, Nino Abel, Albert Folvi, Marciana Tangcay, Geoff Blwyddin Helena O’Connor, Cecil Adams, Pat Nolan, Pauline Kearney, Tony & Lenna McCormick, Victoria & Kwesi Yankson, Christina Wood, Norah Bolger, Anne Scanlon, Fortunata D’Souza, Nigel Searle, Gordon King, Cecilia Figueira. William Lucid, Brian Marsden & James Bolger. May they rest in peace. Grace Ashionon, Douglas Smith, Martha Booth, William Smith, Peter Bekoe, Anthony McGuinness, Filomena Rose, Kathleen Burnet, Allister Calliste, John McMahon, Mary Tierney, Percy Webbe, Maria Alvares, Geoﬀrey Daniels, Aniroot Paranam, Desmond Augustin, Michael Staﬀord, Francis Darragh, Elizabeth Coughlan, John Rivans, Shirley Gammon, Margaret Reid.Michael Aktar, Rosemary Mariyanayagam, Hazel Lockwood & Yvonne D’Cruze. May they rest in peace – Amen.